All I have the energy for tonight is cheese toast. 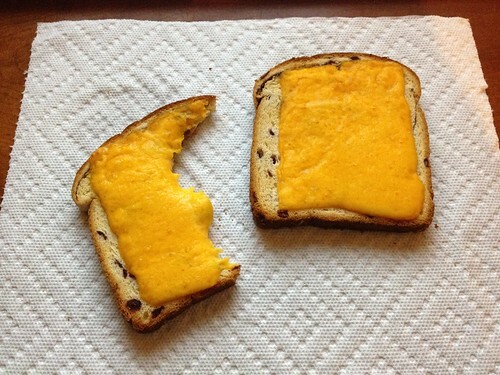 My newest passion is cheese toast made with Pepperidge Farm cranberry bread. I feel so strongly about it, I bought a toaster oven for the office so that I might have some there. I don't have time to tell you all the things whirling in my head, so for now just go out and buy a giant block of cheddar cheese and some cranberry bread and consider it my little gift to you.